We provide business owners and property managers with year-round professional and reliable window cleaning. Mr. Squeegee cleans exterior and interior residential windows of all sizes, heights and types. Your home or business will be treated as our own, and you will be left with a beautiful view! Mr. Squeegee Window Cleaning, Inc. is proud to be your local expert in residential and commercial window cleaning since 1998. We have worked hard to achieve our great reputation. We will always arrive in uniform and driving marked vehicles. 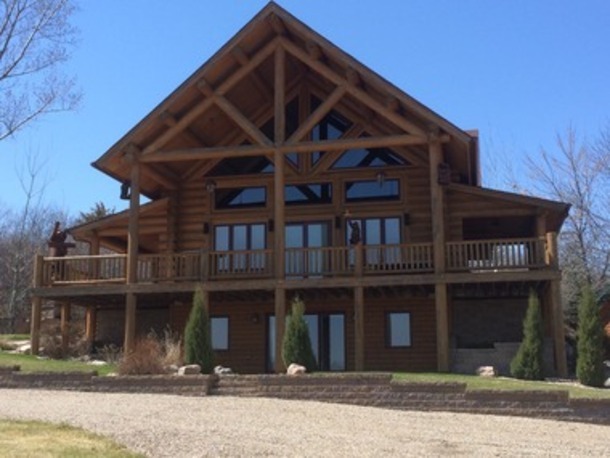 Your home or business will be treated as our own, and you will be left with a beautiful view! We insist on offering a free on-site estimate and are fully insured. 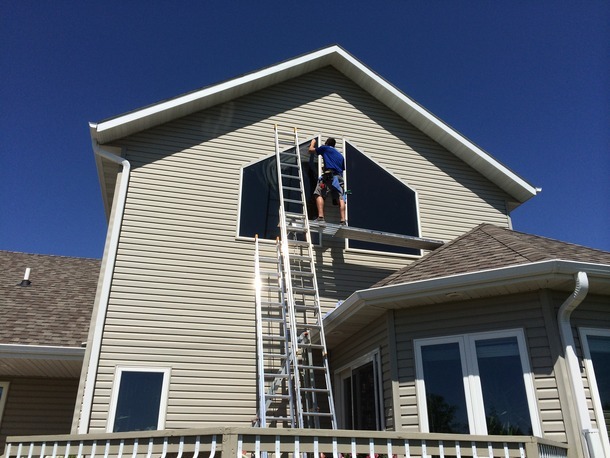 We currently provide service to over 1,100 residential clients and 500 commercial clients in Bismarck, Mandan and the surrounding communities (including Washburn, Pick City/Riverdale, Center, New Salem, and Steele). 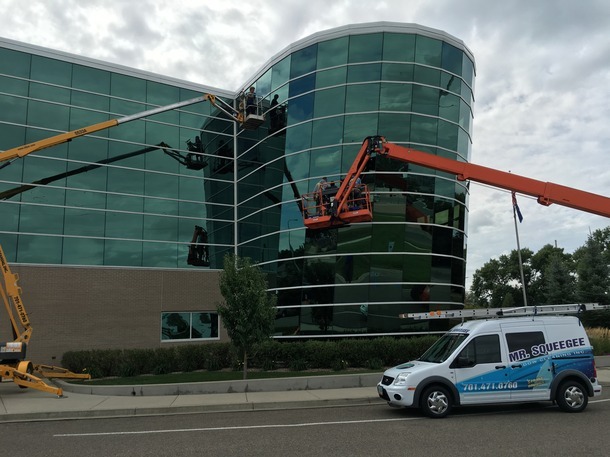 Mr. Squeegee has the distinction of being a 2016 recipient of the Mike Fink Award from the Bismarck Mandan Chamber, a member of the International Window Cleaning Association, Bismarck-Mandan Chamber, Bismarck-Mandan Home Builders Association, and the Downtowner's Association. 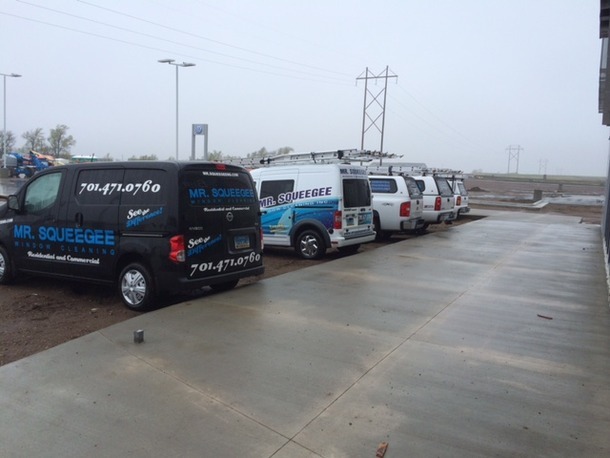 ARE YOU INTERESTED IN JOINING THE MR. SQUEEGEE TEAM? Matt founded Mr. Squeegee in 1998 while attending college full time at Dickinson State University. A proud BlueHawk, he received his degree in Business Administration. He has 20 years of window cleaning experience. 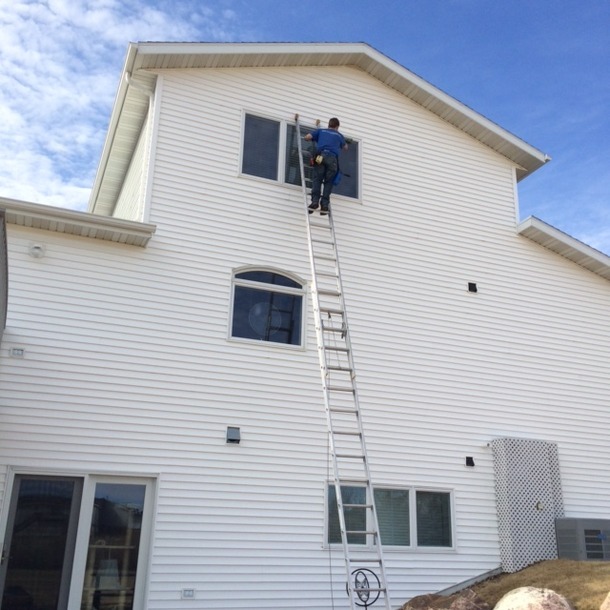 Matt is our fearless leader, primary estimator, and still enjoys cleaning windows every day! His entrepreneurial spirit has never waned, and he will never ask an employee to do a task that he won't do himself. Tena earned her degree in Business Administration from the University of Mary, and is a graduate of the Harold Schafer Leadership Center. She "officially" joined the company in 2003. She believes in working hard and treating others with respect. Tena is the friendly voice you reach on the phone, and manages the office, scheduling, accounting, marketing, and human resources. 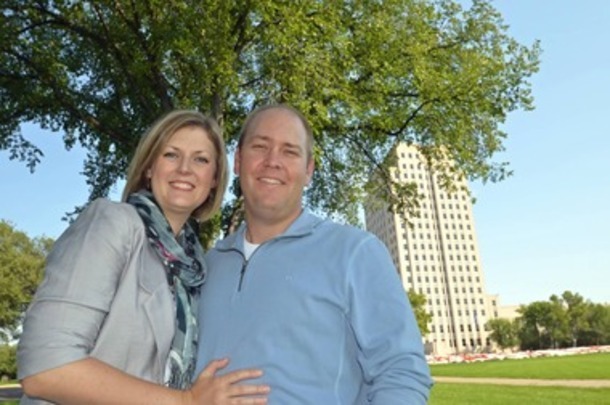 Matt and Tena reside in Bismarck with their two daughters, Avery & Claire. They have been married since 2003, enjoy camping with their daughters, watching baseball games, dreaming about what the future holds, and are proud to call North Dakota home! Look Your Best...First Impressions are Everything! 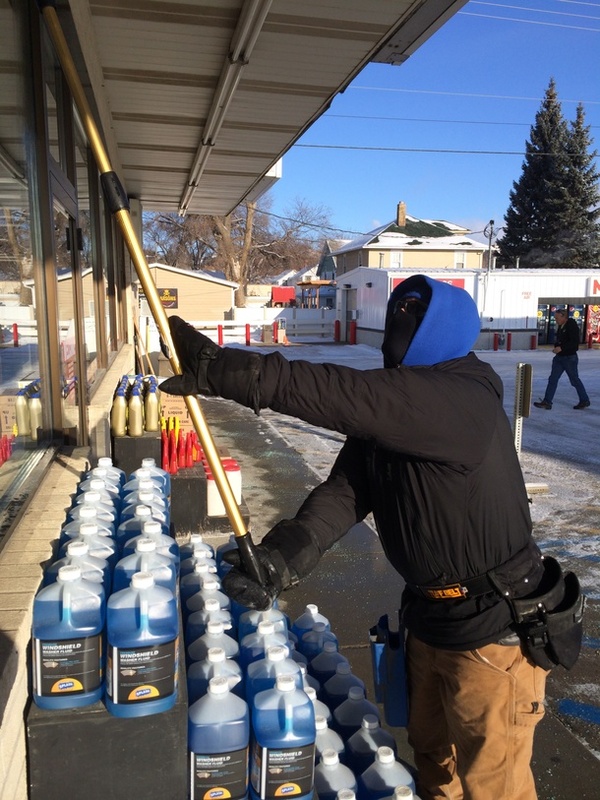 Mr. Squeegee loves helping your office or storefront to look it's best. We're here to serve you, and we'll never be average. 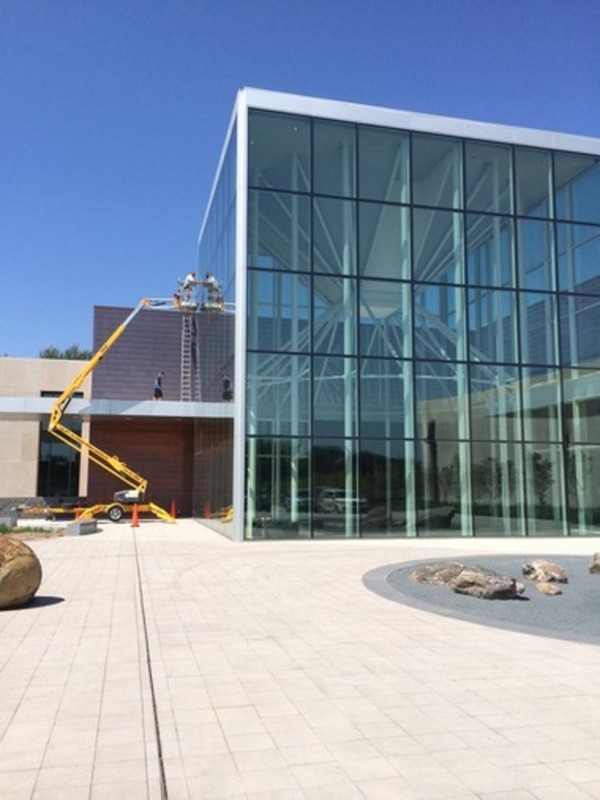 We provide business owners and property managers with year-round professional and reliable window cleaning. We customize a maintenance schedule to fit our commercial client's specific needs. Our goal is to do our job quickly and professionally as possible, so that your business operations aren't disrupted. We don't let the North Dakota winter season stop us, either. 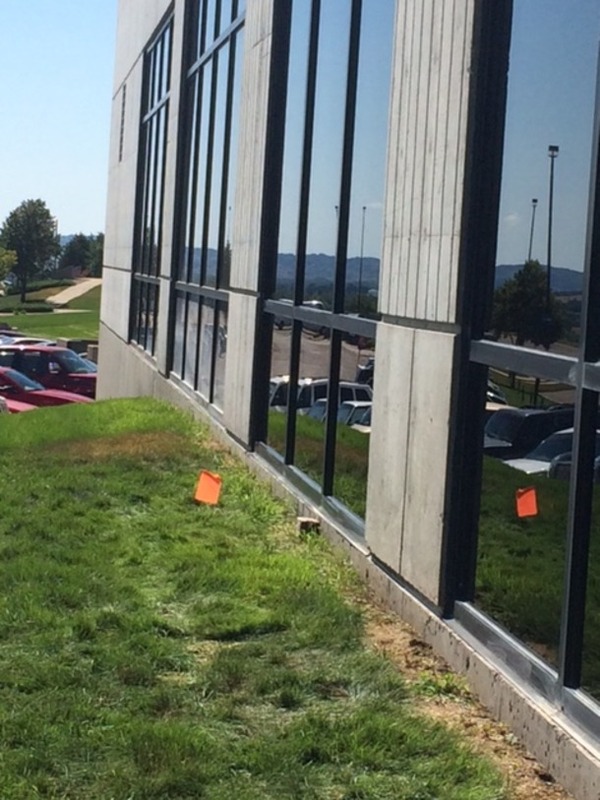 Your office windows will be maintained throughout the year. 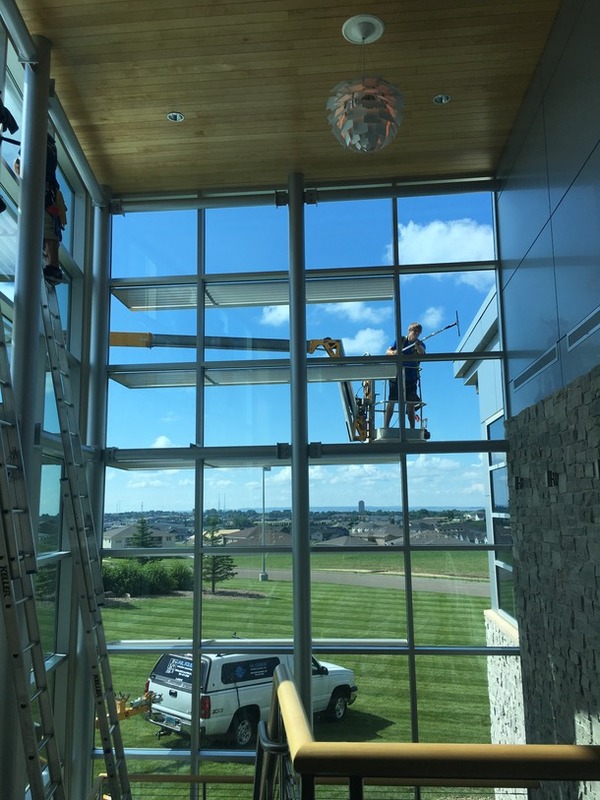 Contact us today for a free on-site estimate, and discover how beautiful the view from your desk can be! Don't do windows? Cleaning windows in your home can be time consuming and difficult. We believe residential window cleaning is just as important as regularly washing a vehicle. Mr. Squeegee cleans exterior and interior residential windows of all sizes, heights and types, including most sunrooms and skylights (some exceptions exist). We always include screen cleaning in our estimate. An optional upgrade service called "Deep Clean" is also on your estimate. This optional service is a thorough cleaning of the interior window sill and jamb. This is the area that is exposed when the window is opened. This upgrade is available when you schedule a complete interior/exterior window cleaning appointment. Do you live in a newly built or remodeled home? 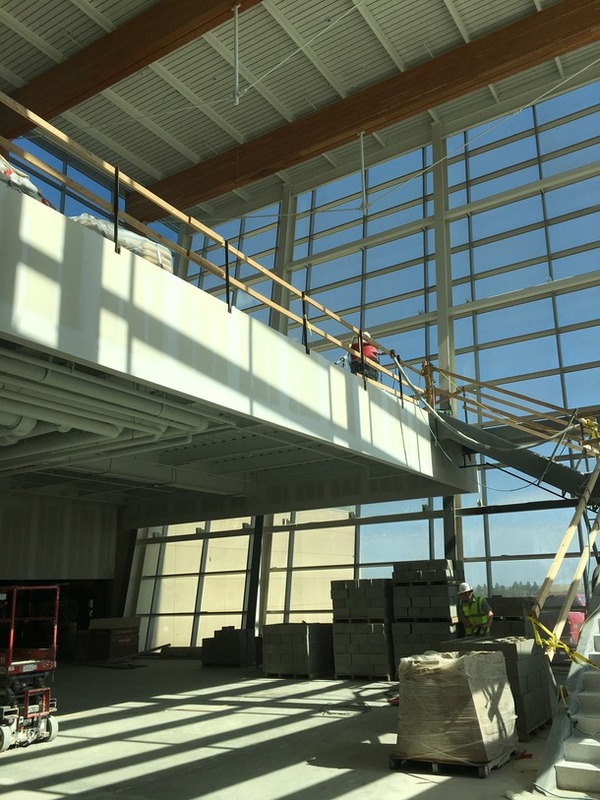 We offer "post-construction" window cleaning as well, which removes all the remaining debris and residue left on the windows from the construction process. Please contact us today for a free estimate at your home. 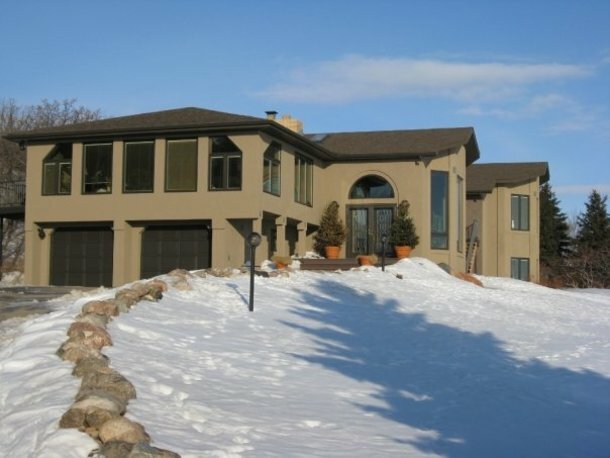 We will take a quick walk around the exterior, and compile a detailed estimate customized for your windows. 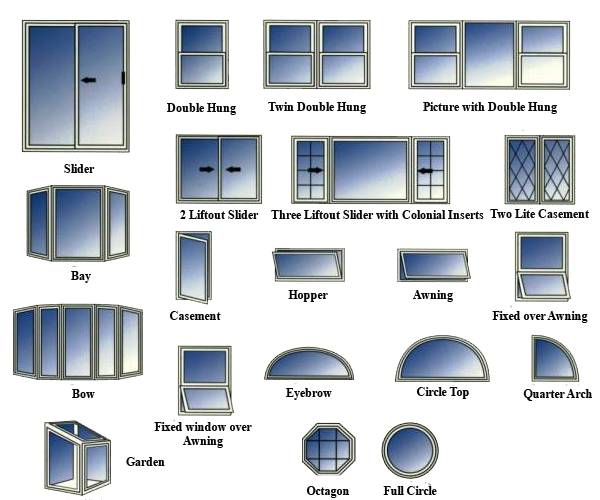 There are many types of windows and all homes are different, which is why we insist on doing an on-site estimate. "Your crew treats me like family. They are a blessing to me!" "I can NOT thank you enough for the happy, happy windows I came home to. Please put me on your list for next year!" 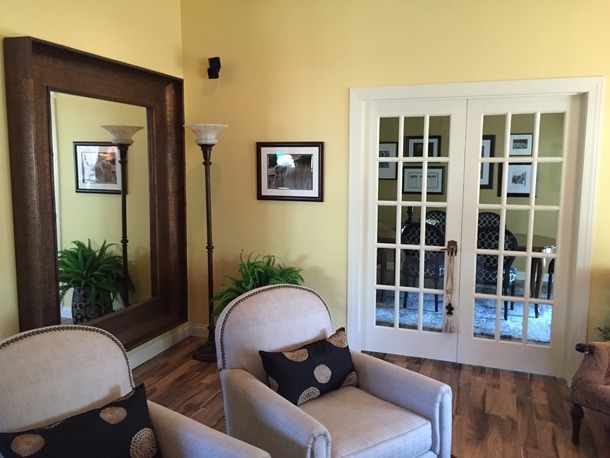 "We were so very pleased with the wonderful cleaning job of our great room windows. The two young men who cleaned the windows are a credit to your business. They worked in a quiet, efficient manner and the end result was superb. Thank you so very much. We will be calling again!" "We are so appreciative of your service. It was such a treat to come home to nice, clean windows!" 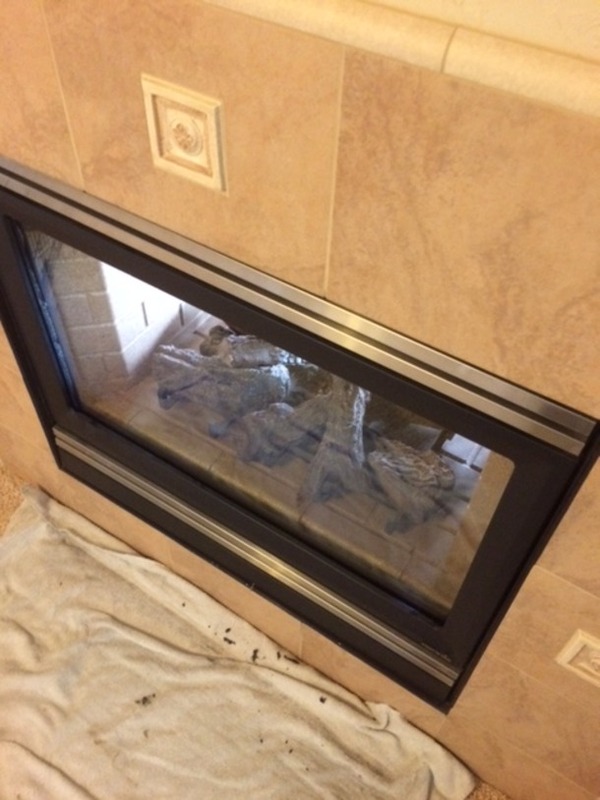 "The crew at our home today did an excellent job representing your company. They also did astounding work...we've never seen our windows so clean!" We accept cash, checks, or can process a debit/credit card by phone. You may pay your bill at the time of service, If you'd prefer to send payment, our mailing address PO Box 49, Bismarck ND 58502. If you'd like to pay by debit or credit card, please call our office at 471-0760 and speak with Tena or Matt. Why should I hire Mr. Squeegee Window Cleaning? Our first priority is high quality service. It's the core of our business, and we'll never do average work. 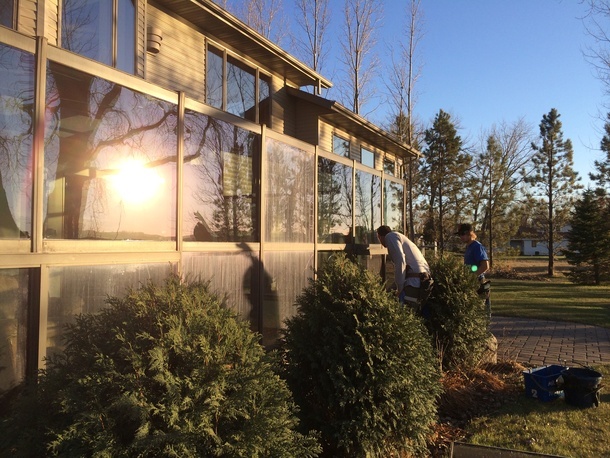 Our crew is experienced and efficient in the art of window cleaning. Yes, we consider it an art. We will accomplish the work quickly and thoroughly, treating your home or office as if it's our own. Our clients find that we can clean their windows much quicker than they would get it done themselves, with a more satisfying outcome. Well-maintained windows will improve the entire look of your home or business. 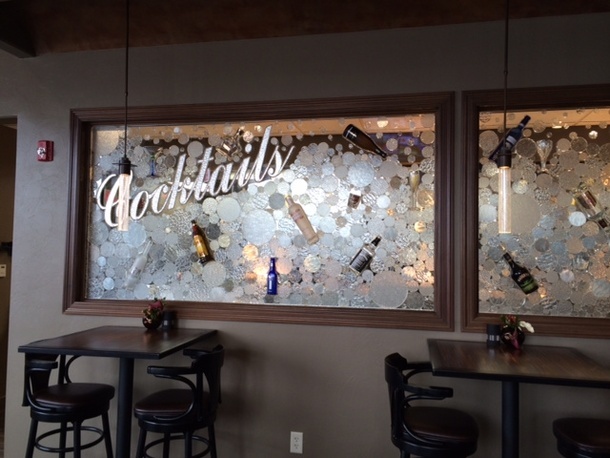 Basically, we charge per window pane (piece of glass), in addition to taking other factors into consideration. The price structure for residential work and commercial work are not the same, as the level of difficulty can be quite higher at a home. We do not ballpark estimates without seeing your home or business, as it's inaccurate. Why don't you give phone estimates? We insist on coming to your home or business in order to SEE the windows and be able to have an accurate window pane count, in addition to determining the type of window, the terrain around the property, whether or not there is construction debris to remove, etc. This enables us to give you a firm price quote, so you know exactly what to expect on your bill. Additionally, this helps us to schedule the correct amount of time required to complete your window cleaning. Do I need to do anything special before my appointment? NEW: Home security systems are becoming more and more common in our city. If you have made advance plans with us and will not be home, PLEASE REMEMBER to disarm your system. It is a very akward situation for our employees to be in when they have accidentially triggered a client's security alarm. It is helpful if you remove decorative things from the window sills ahead of time. Window blinds are another item that the homeowner can help with. If you have time to raise all the blinds prior to your appointment, we would greatly appreciate it. This is especially helpful if you have older blinds that are wearing out and there is a "trick" to raising or lowering them. 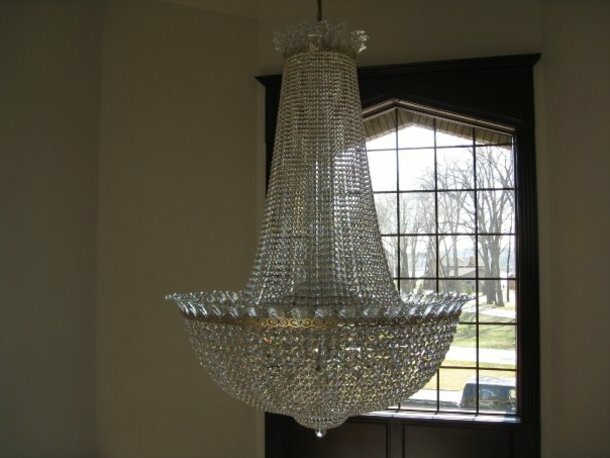 How do you clean chandeliers and light fixtures? 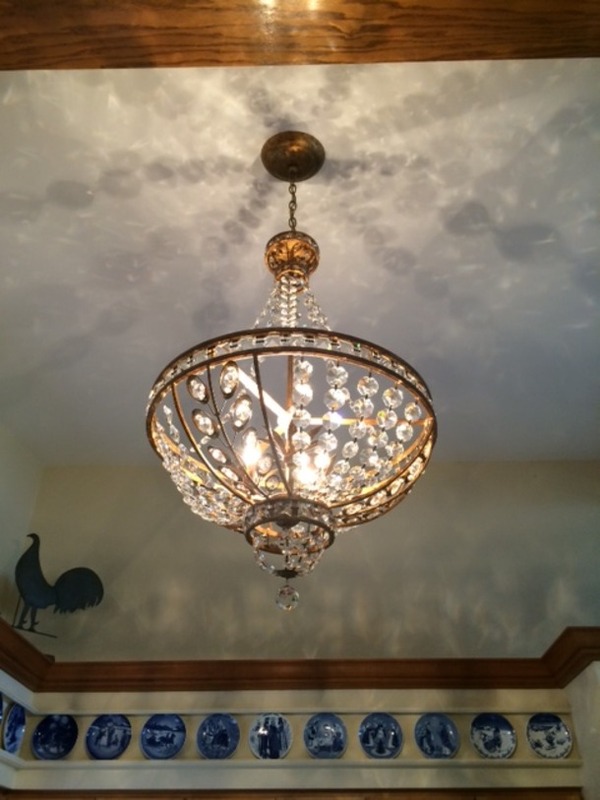 We offer various levels of fixture cleaning, from simple dusting to disassembling and removing years of grime and build-up. The most elaborate require scaffolding and elbow grease, while others require a simple dusting or quick scrub. We'd be happy to put an estimate together if this interests you!